C. Servilius struck coins between 82-80 BC. He is not otherwise known. Servilia was a patrician family at Rome. The gens was celebrated during the early ages of the Republic, and the names of few gentes appear more frequently at this period in the consular Fasti. It continued to produce men of influence in the state down to the latest times of the Republic, and even in the imperial period. The first member of the gens who obtained the consulship was Publius Servilius Priscus Structus in 495 BC, and the last of the name who appears in the consular Fasti is Quintus Servilius Silanus, in AD 189, thus occupying a prominent position in the Roman state for nearly seven hundred years. 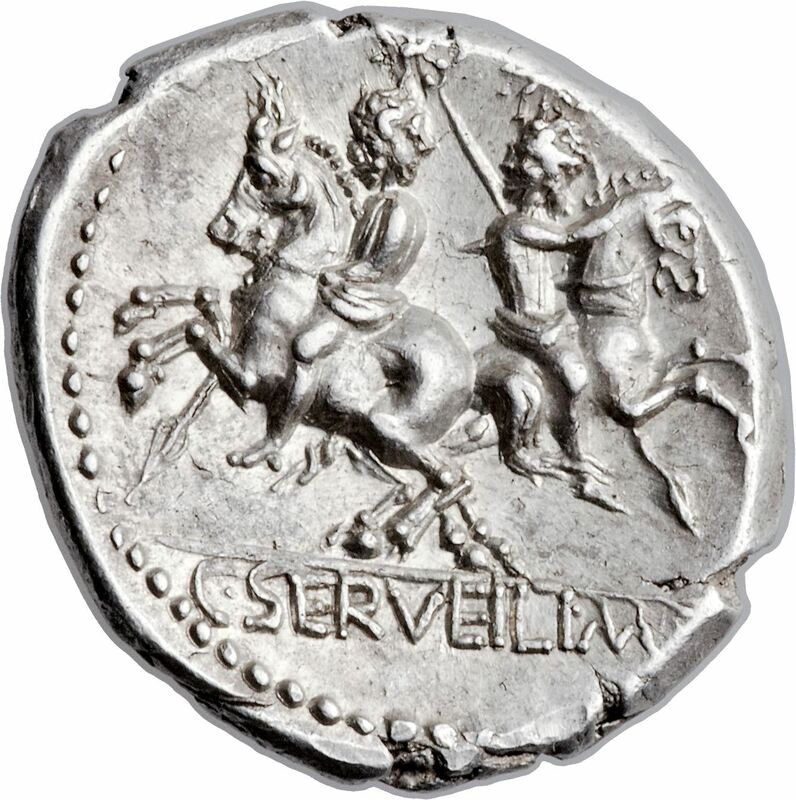 Like other Roman gentes, the Servilii of course had their own sacra; and they are said to have worshipped a triens, or copper coin, which is reported to have increased or diminished in size at various times, thus indicating the increase or diminution of the honors of the gens.